So you have decided on coming to Hawaii for your wedding! Congratulations on making that big step! Having been literately to thousands of Maui Weddings and Maui Elopements, with 19 years of being a Pro Maui Wedding Photographer, I thought it might be a good idea to share some of the things I have learned and witnessed over the years. 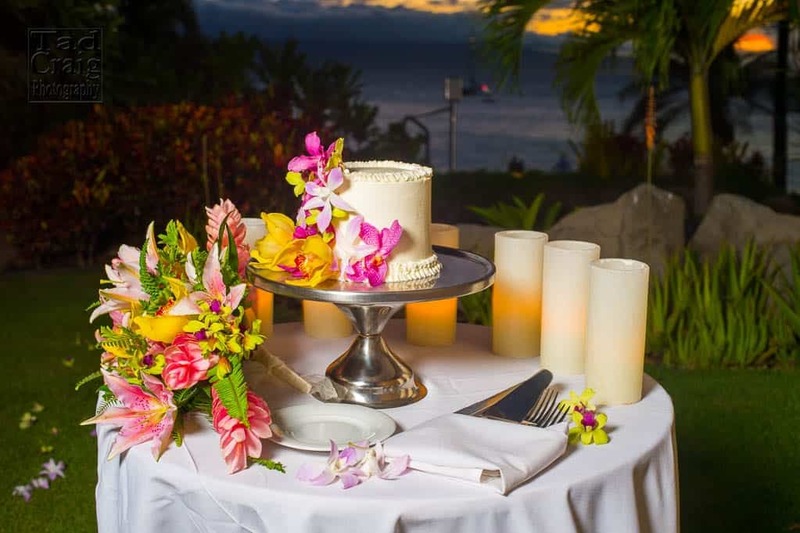 Planning – Of course your Maui Wedding Coordinator who will help you with making some of these decisions, but advice from a pro can definitely help! Generally the whole wedding day is timed around what time the sunset time is on that particular day. Find it out and write it down. Some of the BEST advice I can give newlyweds is to have LOTS of extra time AFTER the wedding and BEFORE sunset. Especially if you have a big wedding. The bigger the wedding, the more time you need here. From the photographer perspective, we have a lot of things we need to get done in this time allotment,. This includes the group, family, wedding party and romantic pictures BEFORE the sun goes down. The MORE time you have after, the easier it will be for the bride and groom. More time allows not only enough time do all must-have pictures, but also, and very importantly, time with their important guests and maybe enjoy a cocktail at their own cocktail party. Upon arrival on Maui, here are few tips to get you ready and be prepared for wedding day. First thing is you need to find out where the venue is and also actually put a stop watch from your hotel to the venue considering traffic and the time of day. Certain times of day on Maui are much busier then other times and can delay your getting their or your guests getting there on time. 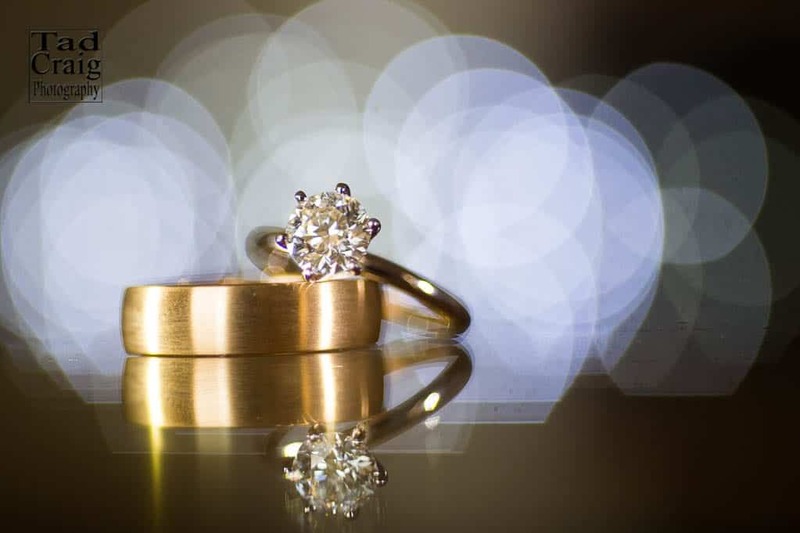 Be prepared with everything bought and ready to go with you, so on your wedding day you are not last minute scrambling for some silly little thing. I have seen this happen and literately become a disaster. Once the groom forgot the rings locked in the safe on the west side of the island and the wedding was on the south side. The hotel was about an hour and half drive, and he had to talk security into going into his room, go into safe and then drop off with a taxicab. Upon arrival at the wedding, the groom had to pay the taxicab for driving the rings across the island. Upon arrival in Hawaii, make sure you where your SUNSCREEN or wear clothes to block the sun effects! Especially for a Maui beach wedding. This is really important, and here’s why. Yes its possible to change and fix photos completely in post production, but this is time consuming and can add serous extra costs. Actually, in some images it can be almost impossible to fix. 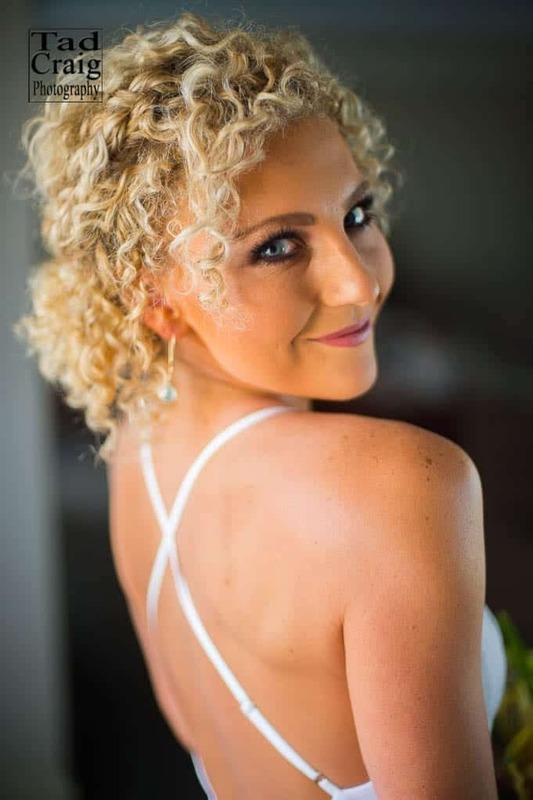 At a recent wedding, the bride had gotten really sun burned and her dress showed one entire shoulder and it was literately hundreds of images. Again speaking from an actual experience where the bride was staying in a luxury hotel, drinking large quantities of alcohol and NOT drinking water and no lie, passing out just before saying her vows! DRINK PLENTY OF WATER! The hot Hawaiian Sun can get REALLY HOT and if you are not used to it getting dehydrated and passing out can be a real thing. Here’s a good tip that gets overlooked EVERY time I go to the brides room to do getting ready pictures. CLEAN YOUR ROOM! Every time I go to the bride’s room I ask people to help clean up. If its a room where the bed has been slept in, you have to make the bed as any pictures taken in that room will be hated if the room is a mess! Sometimes the room just takes a few minutes to straighten up which is no big deal. BUT I have also seen a room where a tornado hit with the bride with ten bridesmaids all getting ready at the same time and everywhere I pointed the camera, there was unsightly “STUFF” in the background. No one likes pictures with lots of clutter in them. Here’s some good advice. Communicate with your photographer. Tell him or her or (ME), what you like, what style of images you love and the most desired image you can imagine hanging on your wall. Equally important, tell your photographer what you DON’T like! I generally try to also always ask what my clients want, but recently I had a a bride and groom that preferred most of their images had them looking straight into the camera. This style of images is one that is not as common and I didn’t actually learn of their preference until after the wedding. That’s why communicating with your photographer is so important. You can also make a list of MUST HAVE PHOTOS of guests that are really important and perhaps of a certain style photograph that you love. For this reason, I really enjoy social media as it is not only a platform for the CLIENT to get to know the photographer, BUT also for the PHOTOGRAPHER to get to know the client. Add them on Social Media early so that you both have plenty of time to see and get to know each other before the wedding day. I LOVE making friends with my clients well beforehand so I can know who they are and what they LOVE! 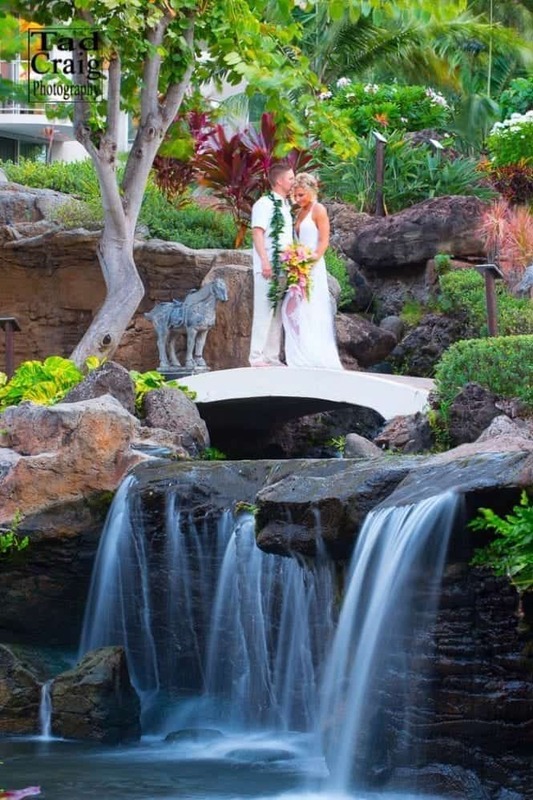 Plan your Maui wedding day with real world timing with actual REALISTIC times that make sense. Most often the coordinator will help you with this, but many times, my being the photographer, I’m given rather UNREALISTIC times to do a whole bunch of things that can take much longer then the time allowed in the timeline. Being realistic in this and planning can make the whole wedding much easier. As a pro, I’m looking at being as efficient as I can be throughout the wedding day and one of the BIGGEST time consumers is doing the Group and Family Photos. Assign a family member to gather all family in one spot. That way, once we are working with the family we can quickly get through all of these images, not leave anyone out and NOT use up valuable reception time. Another HUGE time killer is doing pictures with every guest. Do a friends picture with everyone and then individual images with just your closest people. NOT TRUE! 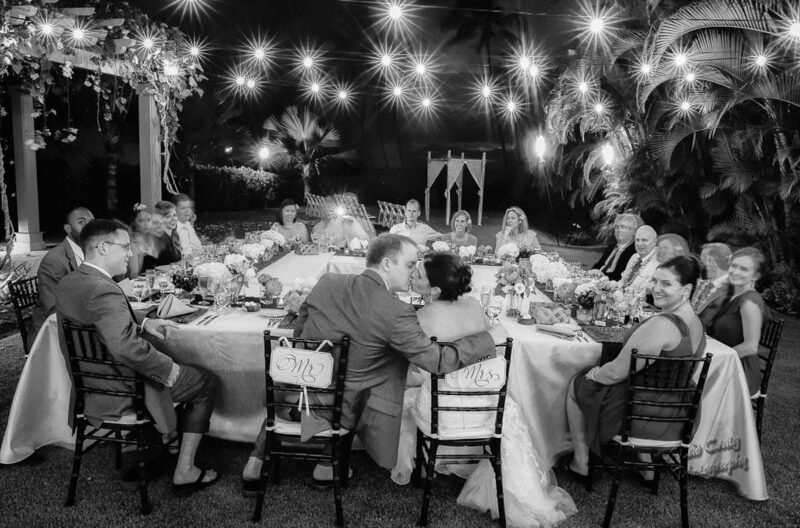 Once at a Luxury wedding at the Fairmont Kea Lani, the bride decided that since it was her wedding she could come down to the wedding on her own sweet time. She was more then an Hour Late! Not only were all the guests seated, waiting in the hot Hawaiian sun, but because she was so late we were forced to do all the family photos right after, all the while watching the SUN Slipping under the horizon, and sadly, they DIDN’T get sunset images at their own wedding. 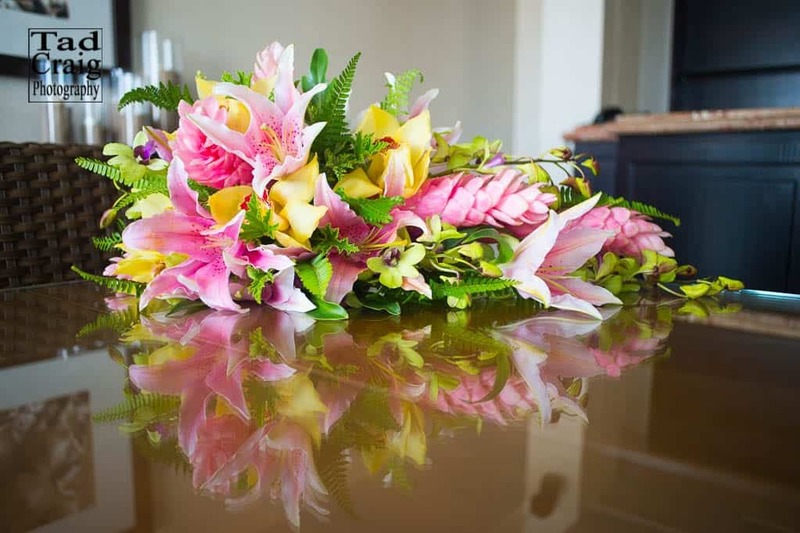 Most often, Maui Weddings are planned with specific objectives in mind, and my job is to hit the timing perfect making the wedding flow perfectly. Being late for the wedding can also be difficult on the other vendors that are planning on a certain time , say the hot food plated and served to the tables. Sometimes the coordinator can easily adjust, but once the sun goes down it gets dark fast the people who suffer the consequences are going to be the bride and groom as we will most likely do all of the family photos and wedding party photos in the dark. Here’s perhaps my biggest tip of the day! GO WITH THE FLOW! Recently I had a wedding that had been planned for more then a year. Of course, the bride and groom had expectations of what their destination wedding day was going to look like and of course, I have high expectations on my capturing amazing imagery my clients are going to love! This particular day however, the wind was blowing 30 MPH, with a bit of rain thrown in. The bride was absolutely gorgeous with the most amazing dress and her stunning hair done perfectly. Of course it was unfortunate that the weather had turned out that way and not what I wanted being the professional, and of course not what the couple had dreamed of. We made the most of the day still got great imagery. My point is that going with the flow is perhaps the most important advice one can get on their wedding day! If you were expecting Apples, but get Oranges, change your mindset and LOVE ORANGES. 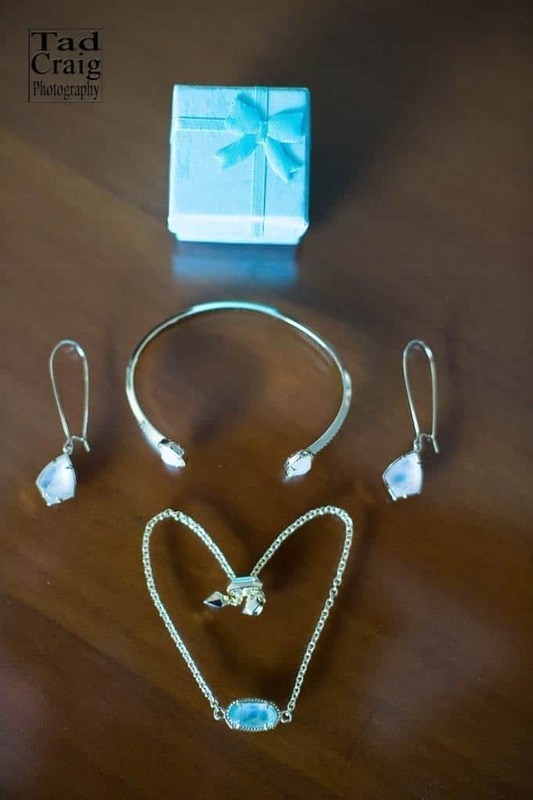 I have literately seen the bride call off the wedding until the rings were delivered an hour and a half later and every guest sat around looking at their watch. On the flip side, I remember a bride and groom who embraced the sudden rain storm and start dancing completely soaked with HUGE SMILES on their faces, laughing at the situation. The choice is yours on how you perceive your wedding day! It can be either the most amazing day ever, (NO MATTER WHAT HAPPENS) or a nightmare. Making the most out of your wedding day and keeping that positive attitude will ALWAYS bring beautiful and memorable results! 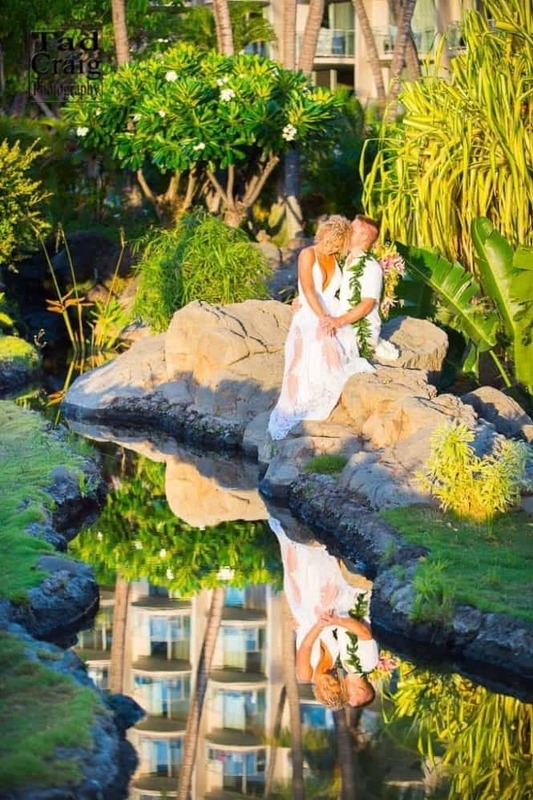 It was the golden hour for Courtney & Dustin eloping to Maui & marrying just before sunset at The Westin Resort and Spa! So much LOVE! Cheers! Mahalo to The Westin Resort and Spa Maui for coordinating this fine wedding to perfection. Fred Torres was the minister extraordinaire, and Floral Designs Maui took care of all the gorgeous flowers! Lisa, Jeff and I began talking about their wedding plans early on and I suggested that we start following each other on social media. It was very special being able to see a little about their lives leading up to the wedding. As the wedding day approached, they were posting hilarious pictures about their travels to Hawaii and the outrageous fun they were having on Maui. From looking at those pictures, I knew this was going to be a fun group and I was not mistaken! The day of the wedding was gorgeous with trade winds blowing making the tropical surroundings much cooler and the location on Kaanapali beach stunning. Jeff watched intently as dazzling Lisa made her way down the stairs in her white flowing gown with her father guiding the way. Fred Torres was the minister extraordinaire; he used such eloquent words to join Lisa and Jeff at the altar. Lisa was extremely giddy with excitement and it was great watching them exchange their nuptials. They finally kissed and everyone celebrated by yelling and hollering. It was terrific to watch two people ready to start their new lives together! After the ceremony, we explored the beautiful Westin Resort and Spa, in search for a romantic spot where we could create and capture irreplaceable moments. We found many spaces that will be remembered for years to come. I especially love the first picture of the two of them at their reception area. It is so gorgeous! Congratulations to these two best friends who married each other! Thanks for including TCP in making your Maui Memories! Congratulations to Natasha & Andrew for their fantastic wedding! Thank you to their coordinators: Sarah Snyder and Ku’uipo Muscuitt for helping making their dream come true! Congratulations to Jasmine & Chamatkar for their superb destination wedding at The Westin Maui Resort & Spa in Lahaina, West side of Maui, Hawaii.